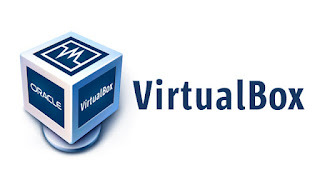 Anditii.web.id - VirtualBox merupakan sebuah software virtualisasi yang bisa kita gunakan untuk menginstall system operasi atau membuat sebuah jaringan komputer skala kecil didalam satu komputer sebagai media pembelajaran, sama hal nya dengan VMware tapi kalau VMware fiture nya akan lebih kompleks dan banyak dibandingkan dengan virtualbox. VirtualBox mendukung system operasi windows, OS X, Linux dan Solaris dengan kata lain kalian bisa menginstallnya di system operasi tersebut. - VMM: fixed VERR_IEM_ASPECT_NOT_IMPLEMENTED Guru Meditations with certain Linux guests if KVM paravirtualization is enabled. 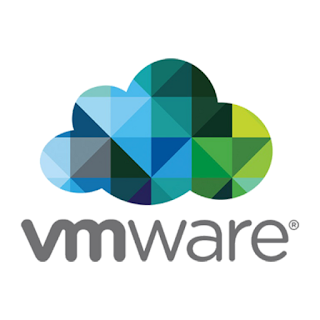 - VMM: fixed VERR_VMX_UNABLE_TO_START_VM Guru Meditations under rare conditions. 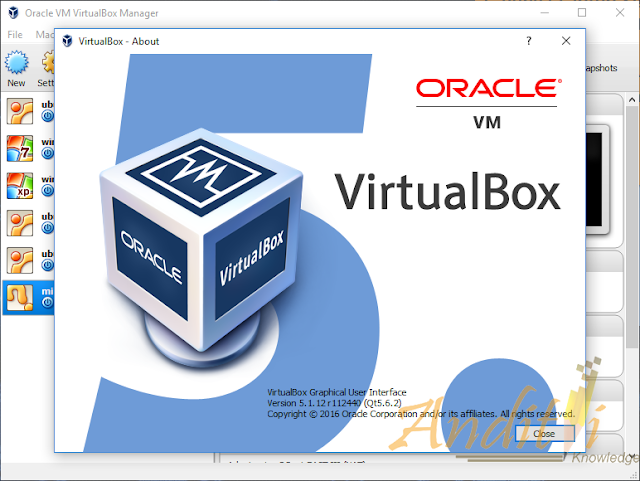 - Storage: fixed creating a snapshot when the VM is running and an NVMe controller is present. - Storage: fixed a problem with the LsiLogic SCSI controller where requests could be lost with SMP guests. - E1000: fixed "cable disconnected" issue. - GUI: prevent a crash under certain conditions if the VM is terminated very early. - GUI: fixed dragging guest windows in seamless mode with the keyboard captured. - Linux hosts / guests: Linux 2.6.28 compile fix. - Linux hosts: compile Linux 4.9 compile fix. - Linux Additions: warn the user about a known bug with older Linux guests (e.g. Debian 7) requiring manual work to get 3D working. - Linux Additions: fix the graphics driver build with Linux 4.10 and later. - Windows Additions: fixed a crash in the WDDM driver under certain conditions. - GUI: fixed a problem where the new version detected dialog was covered by the appliance import dialog. - Storage: fixed NVMe reset processing when doing rmmod nvme; modprobe nvme in a Linux guest. - E1000: fixed "TX unit hang" issue. - Parallel ports: fixed port enumeration on Windows host. - API: don't crash when sanitizing certain VM names. - Linux hosts: automatically disable asynchronous I/O on Linux 2.6.18 kernels as high I/O load may trigger kernel oopses on these kernels if this feature is enabled.